VIK - Curiocity's newest addition to our private villas collection, is a one-of-a kind beach paradise with the best location in José Ignacio. Everything about the property is thought-enhancing. From the outside, one cannot help to look at it and then look at it a little more. It just does that to you. 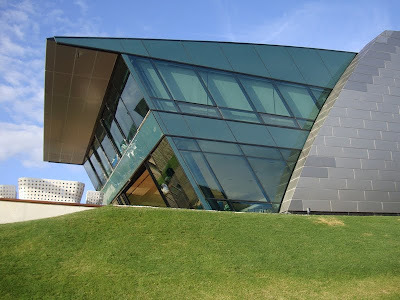 But it's not only the "bizzare" architecture - with the Japaneese -looking grass roofs that has locals raising an eyebrow, it's the interior design, the art, the breathtaking views, the details. 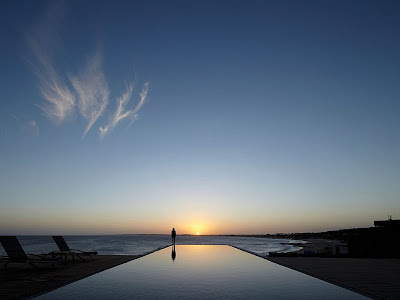 The courage to do something that has nothing to do with the rest of José Ignacio. Planet VIK. 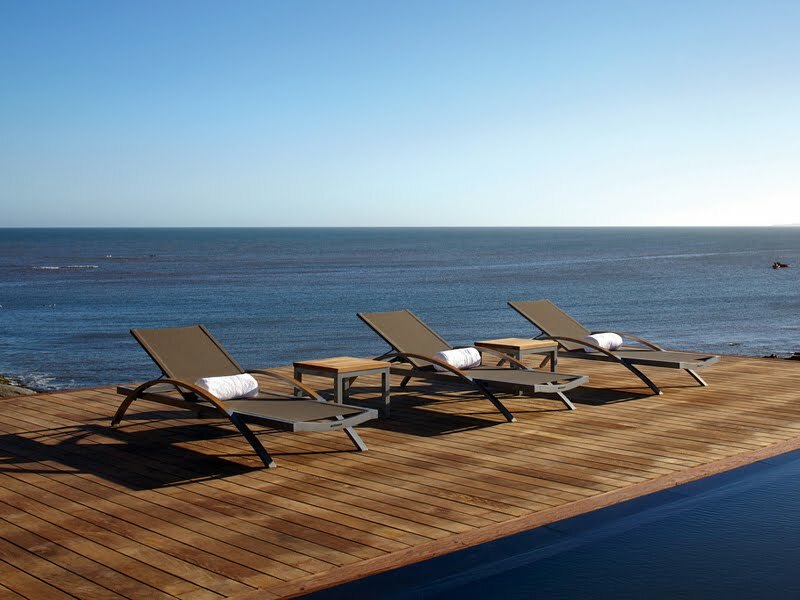 There are six villas with two and three en suite bedrooms each. 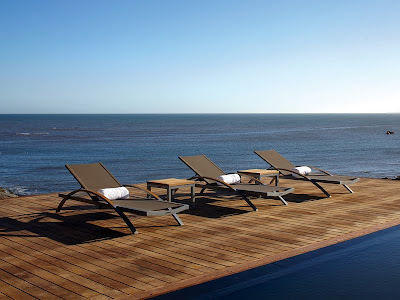 Three of the villas house two master suites with their own private gardens or terraces, a third bedroom en suite with a living room, two have two master suites with private gardens and living room and one villa has two master suites each with its own private garden. 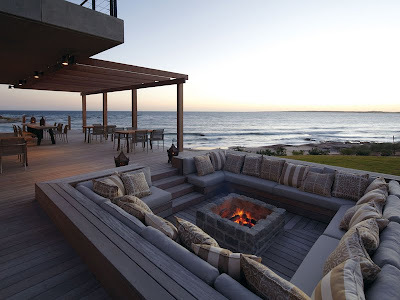 Every villa features a fireplace, art-filled interiors and has a unique design scheme, including Ebony Macassar ceilings, hand painted floors and a remarkable mud adobe fireplace. Most spaces, a 40-foot long wine cellar or Cava, game room, gym, spa and BBQ dining room feature large glass windows overlooking the beach, the garden, BBQ terrace and fire pit. 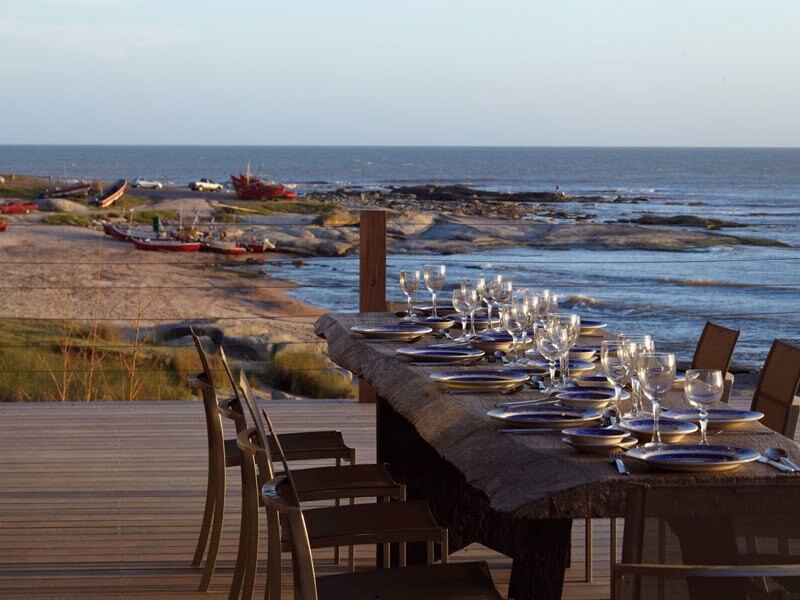 With its traditional barbeque, the Parrillero terrace also looks out to the beach. 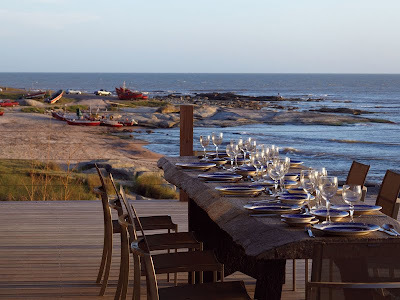 The epitome of Uruguayan casual dining on the generous 14-foot cinnamon-wood table, the barbeque area can accommodate from two to sixty guests. A Brasero, a traditional fire pit, offers comfortable seating of four sides for casual time relaxing in the evenings under the indescribable stars of the Sauthern Hemisphere. 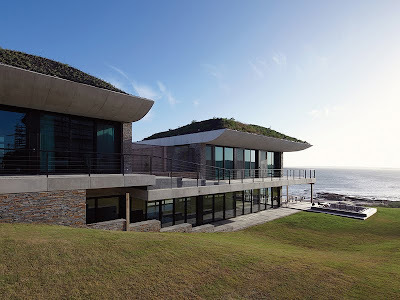 This place is different from every other property in José Ignacio, it's like a spaceship that landed here, unique, daring, and that's a good reason for me to love it, and welcome it and recommend it. 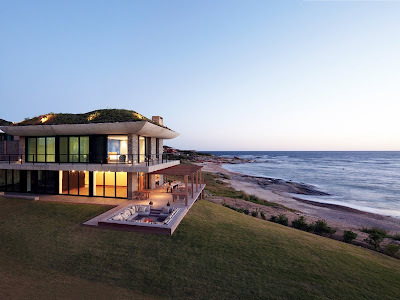 You can book VIK through Curiocity Villas for your next luxury villa vacation in Punta del Este. Sit back and enjoy the most beautiful sunsets you have ever seen. If I'm wrong, I'll buy you dinner. Seriously.